Optimizing tissue omega-6 to omega-3 balance by minimizing intake of omega-6 fats and eating an oily marine fish like salmon or sardines once a week. Optimizing various micronutrients including vitamins D and K2, choline, magnesium, iodine, and selenium. Reducing carbohydrate intake to the body’s natural level of glucose utilization, about 30% of total calories. I think this is pretty strong evidence. 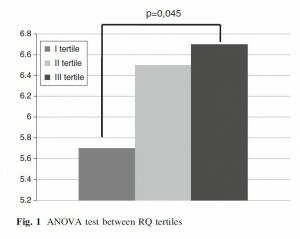 It is not completely bulletproof, because associations don’t prove causation and improving risk factors doesn’t necessarily improve disease risk; but, combined with supportive evidence from cellular biology and clear evidence that evolutionary selection favors a carbohydrate intake around 30%, I consider it convincing. However, it’s always good to have more evidence; and two new studies provide some. One directly relates utilization of carbohydrates for energy to atherosclerosis, and the other conducted a 12-month clinical trial of a carbohydrate restricted diet. Since the 1990s, both small clinical and several larger scale pharmaceutical trials have used carotid artery IMT as a surrogate endpoint for evaluating the regression and/or progression of atherosclerotic cardiovascular disease. Many studies have documented the relation between the carotid IMT and the presence and severity of atherosclerosis. To assess metabolism it measured the “respiratory quotient” or RQ. RQ is the ratio of carbon dioxide (CO2) generated in the body to oxygen (O2) consumed in the body. RQ indicates which fuels are being burned for energy in the body. When carbohydrates are burned, the reaction involves carbon exclusively, so for every O2 molecule consumed there is a CO2 molecule created. This makes the RQ 1.0 when carbohydrates are burned. Fats, however, donate both carbon and hydrogen, and the hydrogens react with oxygen to make water (H2O). So some of the oxygen consumed when fats are burned goes into water, not carbon dioxide, and the RQ when fats are burned is about 0.7. Ketones also have an RQ around 0.7. Amino acids from protein have variable amounts of hydrogen and carbon, some amino acids are ketogenic and some are glucogenic, and so the RQ of protein depends on its amino acid mix. Typically RQ from different types of food protein is between 0.8 and 0.9. However, most people eat a fairly consistent amount of protein, around 15% of energy, so the variable that generally determines RQ in practice is the ratio of carbs to fat in the diet. Higher RQ indicates a higher-carb diet. Another study had previously shown that calorie restriction, which also reduces RQ by replacing dietary carbohydrate with fat released from adipose tissue, reduces the thickness of the carotid intima-media. This study was the first testing whether the RQ-CIMT relationship holds also in subjects not known to be restricting calories. 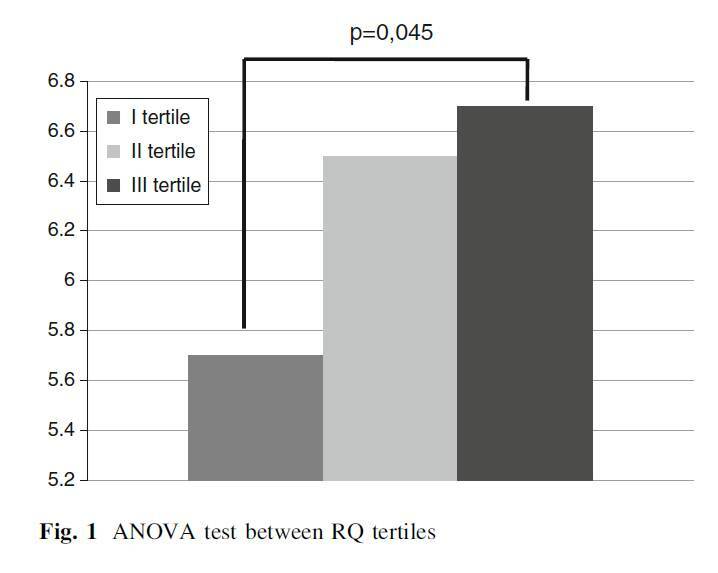 RQ was better than waist circumference or BMI at predicting degree of atherosclerosis. Only age was a stronger predictor of atherosclerosis than RQ. It supports the idea that it was habitual diet rather than recent calorie restriction (which decreases RQ by replacing food-sourced calories with fat from adipose tissue) that generated low RQ and low CIMT. As the authors say, it indicates “the main role of metabolic factors rather than BMI” in generating atherosclerosis – metabolic factors meaning burning glucose for energy rather than fat. One caution: Most of the subjects in this study were eating diets that were around 50% to 55% carbohydrate, so the study was testing whether it’s better to eat a little above or below this carb intake. It tells us, I think, that a 45% carb diet is healthier than a diet with more than 50% carbs. It doesn’t tell us what carb intake is optimal. – Lipids improved, with triglycerides decreasing from 217 to 155 mg/dl and HDL increasing from 39 to 45 mg/dl. A number of simple dietary and nutritional changes appear to reduce the risk of atherosclerosis and cardiovascular disease generally. One of them is reducing carbohydrate intake. I believe the optimum carbohydrate intake is around 30% of energy. Many studies generate clear evidence of benefits as carbs are brought down into the range of 20% to 30% of energy, especially in metabolic disorders like metabolic syndrome, diabetes, and obesity. It’s good to see that evidence from other diseases, such as CVD, also supports the same carb intake. 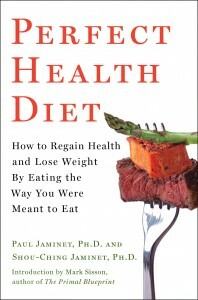 Because most people’s diets are flawed in so many different ways, and fixing an individual factor is often associated with a reduction in CVD risk of 40% to 70%, it’s possible that we could reduce CVD risk by 90% or more by implementing all of the dietary optimizations described in our book. It’s well worth pursuing all these little optimizations! Halton TL et al. Low-carbohydrate-diet score and the risk of coronary heart disease in women. N Engl J Med. 2006 Nov 9;355(19):1991-2002. http://pmid.us/17093250. Krauss RM. Atherogenic lipoprotein phenotype and diet-gene interactions. J Nutr. 2001 Feb;131(2):340S-3S. http://pmid.us/11160558. Montalcini T et al. Metabolic fuel utilization and subclinical atherosclerosis in overweight/obese subjects. Endocrine. 2012 Nov 28. [Epub ahead of print] http://pmid.us/23188694. Iannuzzi A et al. Comparison of two diets of varying glycemic index on carotid subclinical atherosclerosis in obese children. Heart Vessels. 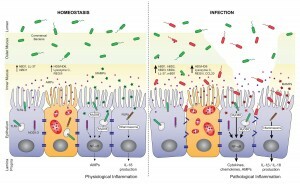 2009 Nov;24(6):419-24. http://pmid.us/20108073. Velázquez-López L et al. Low calorie and carbohydrate diet: to improve the cardiovascular risk indicators in overweight or obese adults with prediabetes. Endocrine. 2012 Sep 1. [Epub ahead of print] http://pmid.us/22941424. I have a question about having dark chocolate daily. Does it need to be every day or what is the mininum grams per day. I have been having around 35g a day of 70% but I wondered if less would be ok or not having it at all. This is a great time for this question, since Halloween candy will be running out soon, and those on tight budgets may be tempted to skimp on their chocolate. Should they? Chocolate has not yet been recognized by the Food and Nutrition Board of the National Academies as an essential nutrient. We haven’t either: Our food plate lists it among “pleasure foods,” which are healthful but optional. However, we are becoming ever-more chocolate friendly. In the new edition of our book, we list chocolate among our “supplemental foods” which we recommend consuming regularly. But our suggested dose is “as desired.” Perhaps we should narrow that down a little. 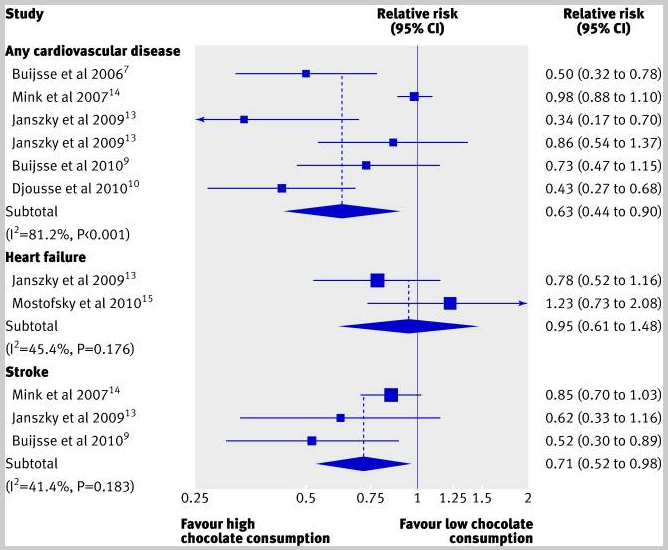 The review authors report that every study accounted for chocolate intake in a different way, so they could only compare the groups with highest and lowest chocolate consumption in each study, not specific doses of chocolate. Several studies [3, 4] have found that chocolate consumption reduces risk of dementia and enhances performance on tests of cognitive function. Unfortunately I don’t know what fraction of chocolate is made of flavanols. I’m guessing it’s not more than a few percent, in which case this research suggests the optimal dose of chocolate may be 50 g/day or more. Most authors attribute the benefits of chocolate to their flavanols, which are thought to improve endothelial function and increase blood flow to the brain, among other effects. However, there are other active compounds in chocolate, include peptides that interact with the opioid receptor. The opioid receptor has a role in circadian rhythms, which is one reason low-dose naltrexone (which blocks opioid function at night) works. It’s possible that eating chocolate during the day may support circadian rhythms via opioid receptor stimulation, especially if the peptides can reach the systemic circulation. I don’t know how much chocolate would have to be eaten to achieve a similar exorphin dose in humans, but I imagine it’s large. So how shall we resolve the issue of optimal chocolate dose? For me, the decisive evidence comes from a recent study by Franz Messerli published in the New England Journal of Medicine. There is clearly a strong correlation. The correlation coefficient is .79; p < 0.0001. Those dastardly Swedes! Giving themselves more Nobel Prizes than their chocolate consumption warrants! But I apologize, I’ve been diverted. The key point is, is there an optimum chocolate consumption? 11 kg/yr is an average of 30 g/day. So benefits are still increasing at that dose. Dark chocolate is, indeed, the PHD-approved form of this highly beneficial food. This dose-response data might not be strong enough to define an RDA, but I’m going to take a stand: Bret’s intake of 35 g/day is healthy. 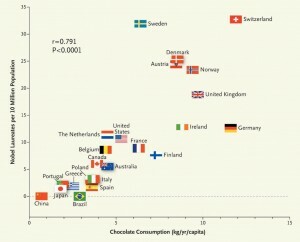 Indeed, it’s right in line with the Nobel Prize-maximizing chocolate intake of the Swiss. In regard to your last question, Bret – can you eat less chocolate, or none at all – the answer is clear. Yes, you can. But you must accept the consequences. You probably won’t be winning the next Nobel Prize for Physics. Buitrago-Lopez A et al. 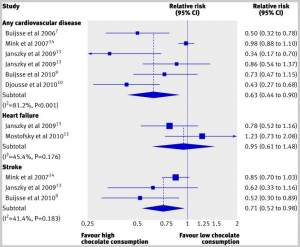 Chocolate consumption and cardiometabolic disorders: systematic review and meta-analysis. BMJ. 2011 Aug 26;343:d4488. doi: 10.1136/bmj.d4488. http://pmid.us/21875885. Oba S et al. Consumption of coffee, green tea, oolong tea, black tea, chocolate snacks and the caffeine content in relation to risk of diabetes in Japanese men and women. Br J Nutr. 2010 Feb;103(3):453-9. http://pmid.us/19818197. Nurk E et al. Intake of flavonoid-rich wine, tea, and chocolate by elderly men and women is associated with better cognitive test performance. J Nutr. 2009 Jan;139(1):120-7. http://pmid.us/19056649. Desideri G et al. Benefits in cognitive function, blood pressure, and insulin resistance through cocoa flavanol consumption in elderly subjects with mild cognitive impairment: the Cocoa, Cognition, and Aging (CoCoA) study. Hypertension. 2012 Sep;60(3):794-801. http://pmid.us/22892813. Belyaeva YA et al. Effects of acute and chronic administration of exorphin C on behavior and learning in white rat pups. Moscow University Biological Sciences Bulletin Volume 64, Number 2 (2009), 66-70, DOI: 10.3103/S0096392509020035. 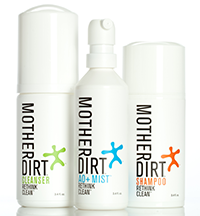 http://www.springerlink.com/content/qt537481061656gt/?MUD=MP. Messerli FH. 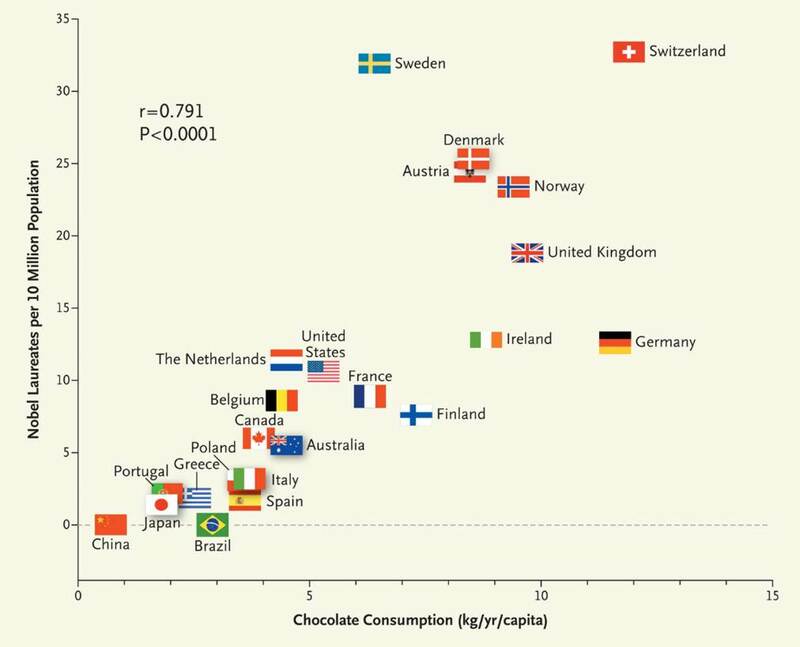 Chocolate consumption, cognitive function, and Nobel laureates. N Engl J Med. 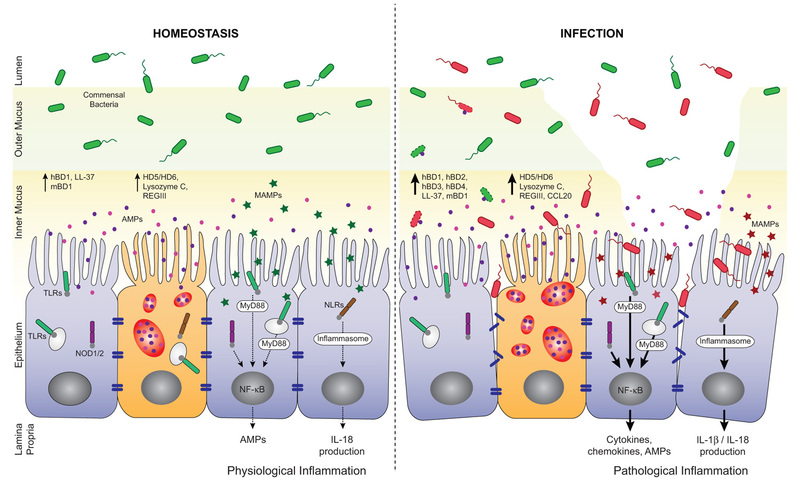 2012 Oct 18;367(16):1562-4. doi: 10.1056/NEJMon1211064. Epub 2012 Oct 10. http://pmid.us/23050509.